Ireland—and all the Irish pubs around the world—is celebrating St. Patrick’s Day today. Parades are moving through the streets. Everyone is wearing green. While Guinness will continue flowing until early tomorrow morning. But you aren’t thinking about the patron saint of Ireland, like everyone else. You’re focused on his predecessor. Many people believe it was St. Patrick who brought Christianity to Ireland. It was actually St. Declán. He was sent from Rome, in the early 5th century, to convert people in what is now County Waterford. He settled in Ardmore, a fishing village lined with white beaches, steep cliffs, and green fields filled with sheep. The ruins of his church, which sit on a hill above Ardmore, continue to draw visitors to Ireland’s southeastern coast. St. Declán isn’t the main reason you traveled to Ardmore, though. The Cliff House Hotel—and its Michelin-starred restaurant, The House—drew you here. The hotel was originally built in the 1930s, but after being completely gutted, it reopened as a boutique hotel in 2008. The six-floor building, made of glass and slate, overlooks Ardmore Bay. The roof is covered with moss. White walls, floor-to-ceiling windows, fireplaces, and tartan chairs fill the interior. While your suite has a glass balcony and a standalone tub. Start with a quick pint of Black Rock Irish Stout at the bar. It was a long drive, after all. 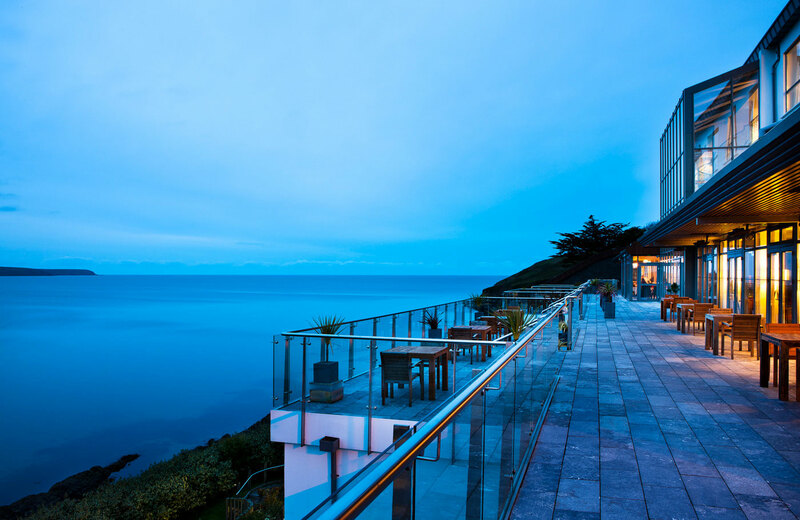 From the terrace, watch dolphins and harbour porpoises play in the bay. Someone points out a fin whale in the distance, though you can’t see it until you look through binoculars. Borrow a pair of wellies and head out for a walk. 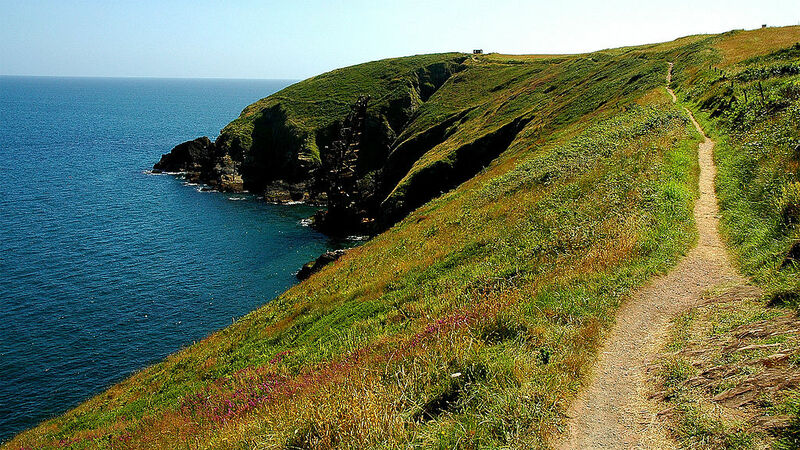 The Ardmore Cliff Walk starts near the hotel. Pass the coastguard station, the ruins of St. Declán’s Church, old lookout towers, windswept beaches, and gorgeous views of the sea. See the Samson, which wrecked on Ram Head during a 1987 storm. Then walk through the center of town and buy blue-and-white pottery at Ardmore Pottery & Gallery. Back at the hotel, you have time for a quick swim. The indoor, infinity pool is surrounded by orange-cushioned lounge chairs built into the wall. A jacuzzi, as well as two stone baths, are outside, if you can brave the chilly wind. Or the sauna is already warm, if you prefer to stay inside at the spa. Just don’t miss your highly coveted dinner reservation. The House serves seasonal, artful dishes with an amazing view. Lobster pots bob in the water as you eat Bantry Bay salmon. The sun sets as your fillet of McGrath’s Black Angus beef arrives. Then the fog rolls in as you sip an Irish whiskey after your dessert of dark chocolate mousse with Maldon sea salt. You may have missed the parades, forgotten to wear green, and traded a Guinness for a Dungarvan beer, but this was still an amazing St. Declán’s Day. Oops, St. Patrick’s Day.